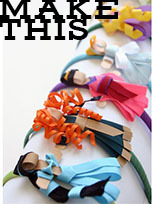 Grosgrain: Born 2 Impress GUEST GIVEAWAY!!!! CLOSED. Born 2 Impress GUEST GIVEAWAY!!!! CLOSED. My daughters have the wispiest hair I've ever seen. I'm always looking to adorn it with something lovely. I'm sure I'm not alone. That's why I'm excited to introduce this week's guest giveaway- Born 2 Impress. 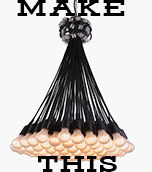 Jenniffer sells sweet, playful adornments for children's coifs ages infant to teen. My favorite piece is their flower clips (see left). The detailing in the petals is more natural than most others I've seen. Perfect for infant's delicate tresses. The winner of the giveaway will receive a $20 gift certificate to use on their online store. For everyone else, Jenniffer is extending a 10% discount for Grosgrain readers. Just use code: GFabulous10 at checkout. Good until June 1st. Shortly after Jenniffer found out she was pregnant, she decided to start making bows and cute accessories for little girls. She started by making different bows and headbands for her niece and then for her friend’s little girls. Everyone seemed to like the items so well, that they insisted she should start her own business to sell her creations to everyone. She kept making the products and after creating over a hundred different styles of items, her husband insisted that she should get a web site and start selling her items. All of her products have been created with the highest quality materials available with an emphasis placed on safety. 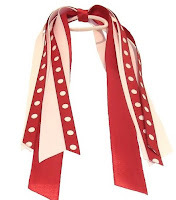 All of their accessories are hand-sewn together and all ribbon ends are heat-sealed to prevent fraying. Jenniffer's little princess is her model and inspiration. As a mother she says she wouldn’t use anything that she wouldn’t use for her own child. Her creations are colorful, fun, and unique and each is hand-crafted as if it was for her own child. Last day for posts is Friday 3/13/09. Winner will be announced Sunday! I love all things having to do with hair clips. I have a million clips and bows for my girls! Such a great giveaway!! The flowers are so adorable! My little girl has to have something in her hair, to keep that baby fine hair out of her eyes. These pieces are so cute and perfect. Thanks for this chance to win! I have linked this post :wub: the flower clip too cute. I want to enter all your giveaways but don't have a blog. I have been frantically trying to figure it all out, all the link stuff I mean, but can't seem to get it. HELP!!! these look so adorable and beautiful! My 2 year old finally has enough hair to put pretty things in it...I'd love to get her some of these adorable pieces! I love the flower clips! After having three boys I was finally blessed with a girl and buying all the girly things for her is so much fun. She's finally at an age that she's really letting me play with her hair and she loves hair accessories! I've made the link back for this giveaway! 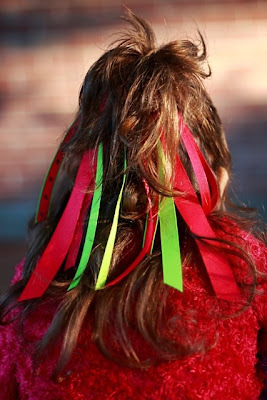 I love all things for little girls hair, these are way cute. Thanks Kathleen - another great bookmark for my shopping folder & for my baby folder. Of course i also have a link on my Kathleen-inspired blog. I'm interested to find out if these clips will work well on Baby's wispy fine often wild hair. Thanks Kathleen - another great bookmark for my shopping folder and for my baby folder. Of course I created a link on my Kathleen-inspired blog! I'm excited to find out if these clips will work well on Baby's wispy-fine, often-wild hair. hey, I love your blog! I linked you back to mine, The Vilula Tea Garden! 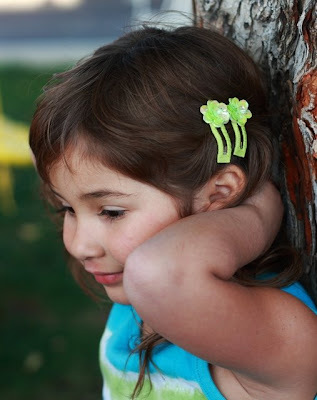 The first girl photographed is my little Madi!...I LOVE JENN'S BOWS!..And the flowers are my fave! Those are so creative and different from the usual. My granddaughters would LOVE them. oh my goodness...so adorable!! Adding you to my blog right now! 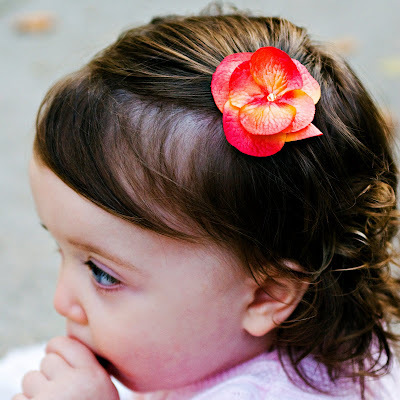 The flower barrette is so real looking...i had to look twice! I absolutely love these clips and think your ideas and various posts are so creative and I feel so impressed and inspired to try my hand at some fun embellishments for hats and sweaters that I love to knit. Ok these are fabulous too! So glad I came across your blog, so many great things!! Just adorable hair ornaments! terrific! 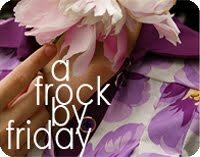 I, of course, posted about said giveaway of baby frou frou loveliness. just in case it didn't show up. Thanks again ma'am for a lovely freebie! omg these is so cute! i love putting clips in my daughters hair! Love it!! Thank you for a great guest giveaway! Posted the link. Another great giveaway! Thanks for the opp. I've created a link. What cutework! I love these pieces! I linked to my blog, but i'm not seeing my link posted at the bottom as a link to this post. I hope it worked. 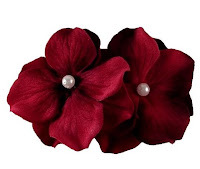 These hair clips would be great for my 2 year old who really needs them, her hair is so short! 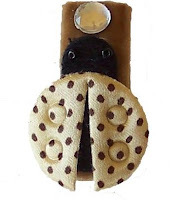 My cutie patootie has hair that would look even better in one of these beautiful hair clips. I have posted the giveaway on my blog, Sweet Somethings by Lois and have created a link there. It's always nice to have a few extra cute clips. 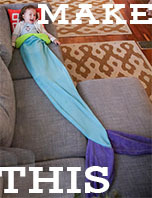 I LOVE this giveaway!I blogged about it too! These would be so stinking cute on my little girl! I linked it to my blog! !